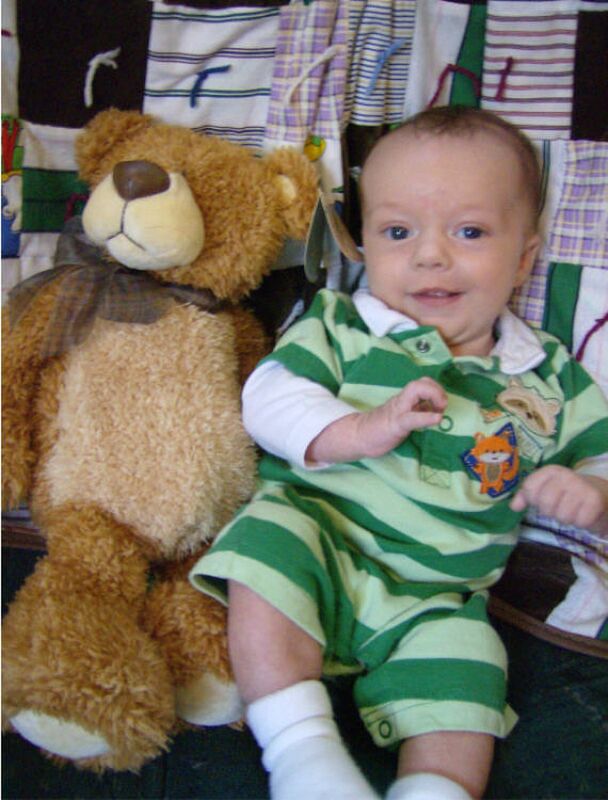 I started taking Spencer's picture every month with the same teddy bear on the same chair when he was 7 weeks old to measure his growth. Since he is now 20 months old, I took his picture with the teddy bear again today. I thought I'd show some of his growth pictures over the last 20 months. Spencer really doesn't have the patience to sit and pose with the teddy bear, so I'm lucky to get a good shot. With the next baby, I've decided I need to use a bigger object to show his growth since this bear proved to be too small too quickly.